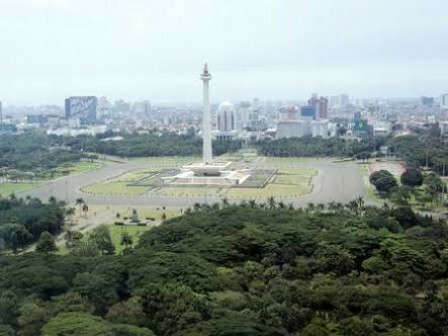 Weather in Jakarta will be partly sunny all day. But residents should be aware of any weather change.
" Partly sunny this morning"
"Partly sunny this morning," stated Hary Tirto Djatmiko, Head Division of BMKG's Public Relation, Wednesday (9/5). This partly sunny weather will last until tomorrow's dawn in Central Jakarta, West Jakarta, South Jakarta, East Jakarta, North Jakarta, and Seribu Islands. Temperature could reach 23-34 Celsius degree with humidity 50-85 percent. While north-southeast wind velocity to reach 05-25 kilometers per hour.